In the spirit of a young Barack Obama's Dreams from My Father, comes a candid and compelling memoir about race and poverty in America. In many ways, there was no reason Julian Castro would have been expected to be a success. Born to unmarried parents in a poverty-stricken neighborhood of a struggling city, his prospects of escaping his circumstance seemed bleak. But he and his twin brother Joaquin had something going for them: their mother. A former political activist, she provided the launch pad for what would become an astonishing ascent. Julian and Joaquin would go on to attend Stanford and Harvard before entering politics at the ripe age of 26. Soon after, Joaquin become a state representative and Julian was elected mayor of San Antonio, a city he helped revitalize and transform into one of the country's leading economies. His success in Texas propelled him onto the national stage, where he was the keynote speaker at the 2012 DNC--the same spot President Obama held three conventions prior--and then to Washington D.C. where he served as the Obama Administration's Secretary of Housing and Urban Development. After being shortlisted as a potential running mate for Hillary Clinton, he is now seen by many as a future presidential candidate. 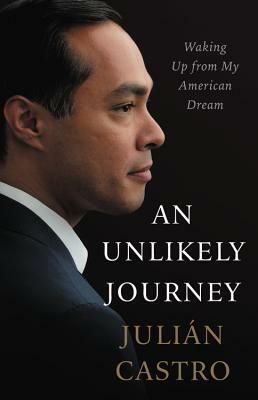 Julian Castro's story not only affirms the American dream, but also resonates with millions, who in an age of political cynicism and hardening hearts are searching for a new hero. No matter one's politics, this book is the transcendent story of a resilient family and the unlikely journey of an emerging national icon. Julian Castro is an American Democratic politician who served as the 16th United States Secretary of Housing and Urban Development under President Barack Obama from 2014 to 2017. Castro served as the mayor of San Antonio, Texas from 2009 to 2014 and was selected at the keynote speaker at the 2012 Democratic Convention.